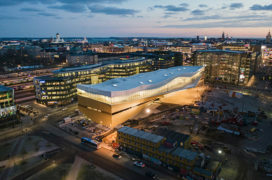 The restoration of the National Library of Finland has received a special mention in 2018 EU Prize for Cultural Heritage and Europa Nostra Awards. 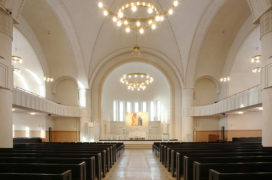 The restoration was carried out by LPR Architects. The National Library, located in the centre of Helsinki near Senate Square, is the oldest and largest scholarly library in Finland. It houses a number of unique collections and cares for Finland’s national archives. The main building, completed in 1840, is originally designed by Carl Ludvig Engel. The restoration of the National Library was carried out during 2011–2015. The façade of the main building was renovated in 2011–2012 while the rest of the restoration was implemented in 2013–2015. The restoration work accommodated modern library requirements while preserving the architectural integrity of the monument. 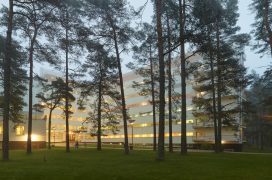 It is estimated that half of the building restorers in Finland worked on the National Library project. This year, the European Union Prize for Cultural Heritage and Europa Nostra Awards’ Jury granted Special Mentions to 12 heritage achievements from 11 European countries taking part in the Creative Europe programme of the European Union. The Special Mentions were given to outstanding contributions to the conservation and enhancement of Europe’s cultural heritage.